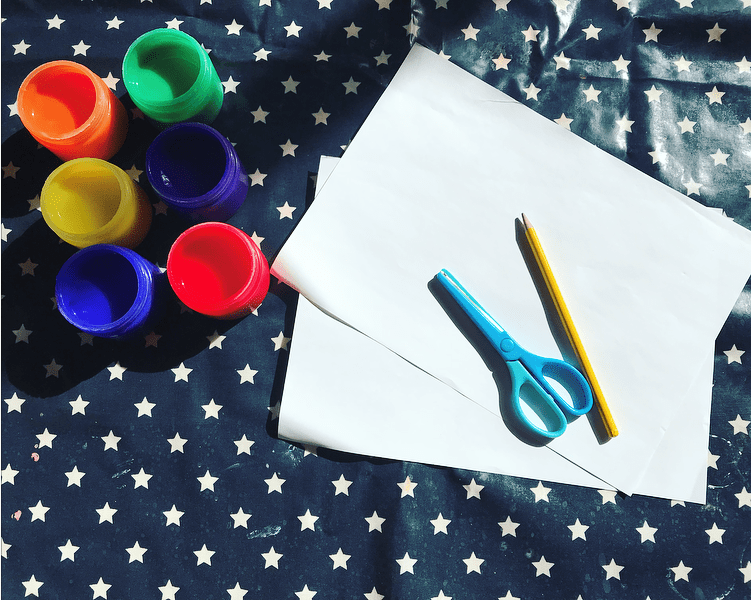 Welcome back to Creative Kids – where I share guest bloggers and the art, craft & messy play activities they get up to with their kids. This week we have a lovely Easter activity from Rachael at Lukeosaurus & Me. In my house hold, Easter doesn’t just mean chocolate; it also gives us the chance to get crafty and creative – hopefully embracing the start of spring. 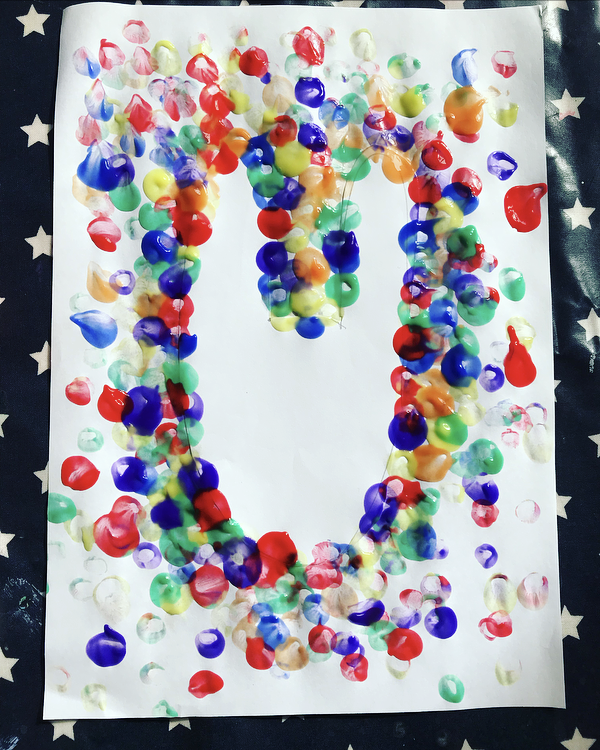 We love to get crafting and so, in order to celebrate Easter and the slightly sunnier weather we’re about to get, Luke and I decided to get the finger paints out and create a beautiful home made Easter Card. This card makes the perfect gift for the grandparents and is sure to brighten any room up. Make sure you put down a messy mat or some newspaper before getting the finger paints out. Finger paints can get a bit messy, especially with younger children! On one piece of paper, draw and cut out the shape of a bunny’s face. 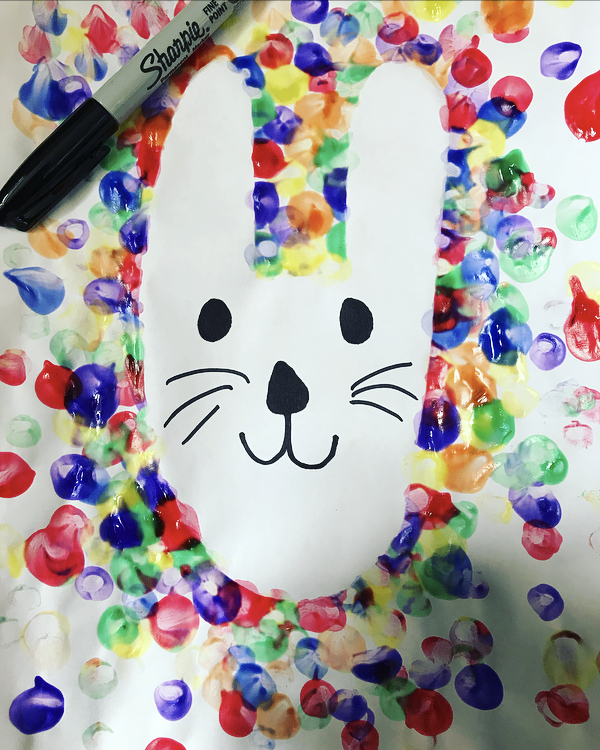 Place the bunny cut out in the middle of another piece of paper – white paper works best as it shows the finger paints up nice and brightly. Hold the bunny in place in the middle of the paper while you child explores the finger paints! This does get a little messy, but isn’t that what makes it so much fun? Ensure that the finger prints your little one is making go half on the shape and half on the background paper at first. You can then explore finger print making on the rest of the paper. Peel the bunny cut out from the middle of the paper and leave to dry. Once dry, you could even add some pom poms using some glue, or a little extra sparkle with some glitter. Don’t forget to add your bunny’s eyes, nose and whiskers! Gift to whoever you think would love a colourful Easter Bunny card! 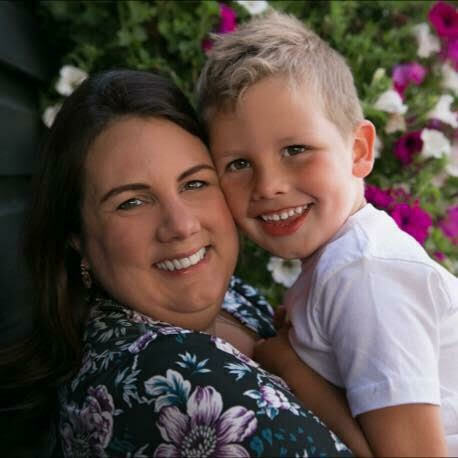 Rachael is mum to Luke, aged 4, and pregnant with her second child. She blogs over at Lukeosaurus And Me and writes about children’s crafts/activities, recipes, mental health, lifestyle and more. She’s also addicted to Instagram stories! Find her on Instagram here and Twitter here. Previous Previous post: What Is Mindful Meditation?